MoovCare, an mHealth app to help patients with lung cancer presented at the annual American Society of Clinical Oncology (ASCO) meeting. An Israeli company Sivan Innovation and the Cancer Institute of Western France are behind MoovCare – an mHealth application presented at the ASCO annual meeting in Chicago. MoovCare claims to be the first application of its kind. It allows to control lung cancer treatment basing on reports on outcomes submitted by patients via web or mobile connected device. It enables the early identification of relapse or complication requiring rapid and specific care. According to the clinical data from the III phase randomized study on 300 patients as presented at ASCO, this mHealth application provides direct benefit in terms of prolonged survival. The main advantage of using the app in lung cancer therapy is early detection of relapse, which is symptomatic and typical for lung cancer. This allows optimal treatment and in turn increase of survival rate among patients. An additional effect of the app is improved treatment compliance (observance of scheduled visit, lower number of inopportune phone calls, lower number of imaging). All this at comparatively very low cost of less than 10 000 USD versus 265 000 USD per one CT-scan for Lung Cancer. MoovCare is being “prescribed” to ambulatory patients. 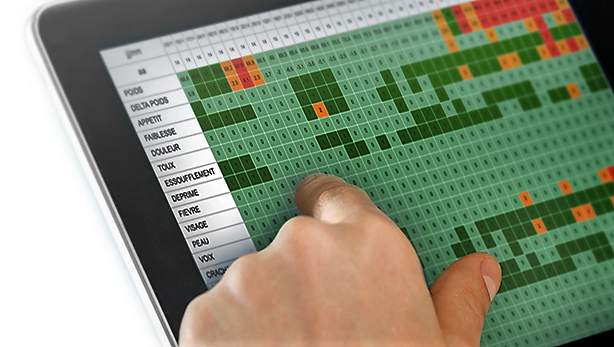 Patients are asked to fill in the web-based form each week, self-assessing 12 clinical parameters and having a free text filed to enter any information they consider of importance. Data are securely passed and processed within application. An algorithm behind MoovCare analyses the data provided and in case of any anomaly detected, reports it to the oncologist and hospital dashboard. Basing on the alert from Moovcare healthcare providers can contact patient and take any necessary action. MoovCare is a product of Sivan Innovation. Founded in 2014 in Jerusalem by Daniel Israel, Sivan Innovation is an Israeli E-health start-up, R&D company. MoovCare is a perfect example of how digital innovation, mHealth and IoT trends are positively impacting healthcare and patient outcomes. We look forward to seeing more of such innovations coming not only from startups such as Sivan innovation, but also from Big Pharma companies with their vast R&D resources.